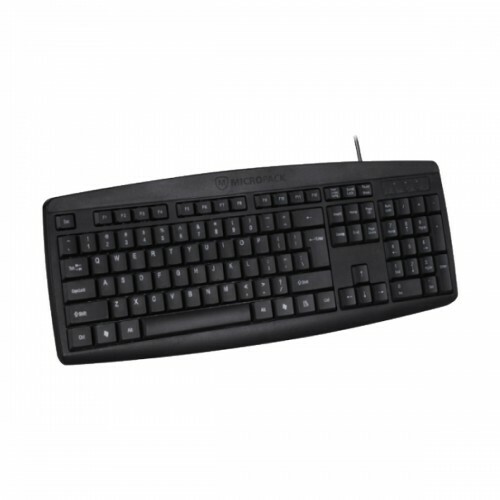 Micropack K203 Basic USB Keyboard is built in Slim design, spill-resistant design, Comfortable & Quiet, Spill Resistant, Strong and Durable Structure, Plug & Play.In this keyboard, It has 103 Keyboard button, Membrane type switch, Low Cap key, 104 Num key with 448 x 158 x 25mm dimensions. The K203 keyboad compatible with Windows 7, 8, Vista, XP, Mac OS X 10.4 or later operating system. This Micropack keyboard provides 01 year warranty.